Who would have known that bananas and avocados go so well together…I didn’t until I tried out several recipes with the two fruits and I fell in love. As you may know, I have been eating and cooking healthier and incorporating more fruits and veggies into my diet. A few months ago I wanted to make banana bread because I had so many ripe bananas and I didn’t want to throw them away. So I went on Pinterest as I usually do when looking for new recipes and came across several recipes for banana and avocado bread. At first I was not too sure about it, but I wanted to take a risk so I pinned the recipe so I could buy some avocados. The recipe is so simple and I switched it up a bit as I usually do with new recipes. It is also healthy as there is no oil or butter and made with whole wheat flour. After making the banana avocado bread and tasting it, I loved it immediately and so did hubby. Hubby loves it more than me now and is always requesting it. I think I make 2-3 a month! 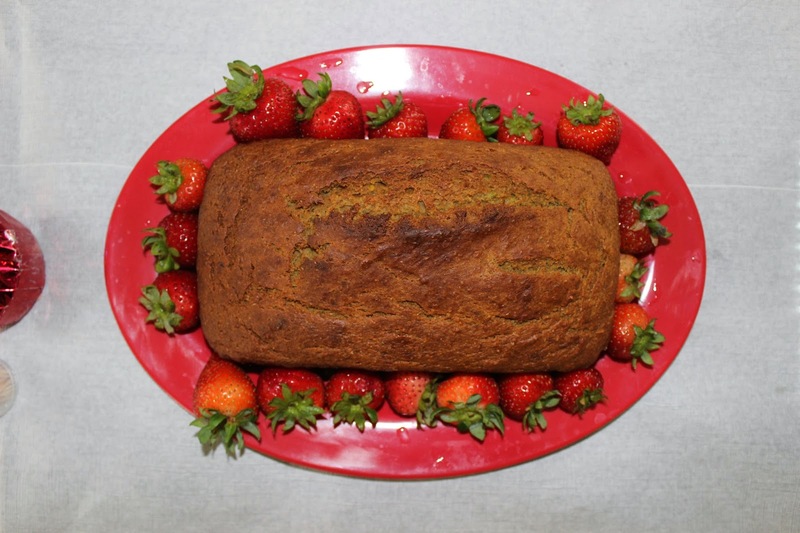 If I have no avocados at home, I try strawberries or just make regular banana bread. I really like the banana avocado duo and have tried a few other banana and avocado recipes which I will share another day! Please try the recipe below and let me know how it goes! 2. In a medium bowl, combine flour, sugar, baking powder, baking soda, cinnamon, and salt. 3. In mixer, beat together banana and avocado until well blended and smooth. 4. Blend in honey, applesauce, eggs, and vanilla, scraping the sides down as needed. 5. Slowly stir in the dry ingredients just until blended. 6. Pour and smooth into a well greased loaf pan. 7. Bake for 65-75 minutes, until toothpick or knife comes out clean, place on cooling rack. Remove from loaf pan when cool enough to handle and finish cooling on a wire rack.